Although it can be quite possible to spend a long time in Thailand without having one, a bank account is one of those things that can make life a lot simpler. If working and drawing a local salary, it’s obviously important. 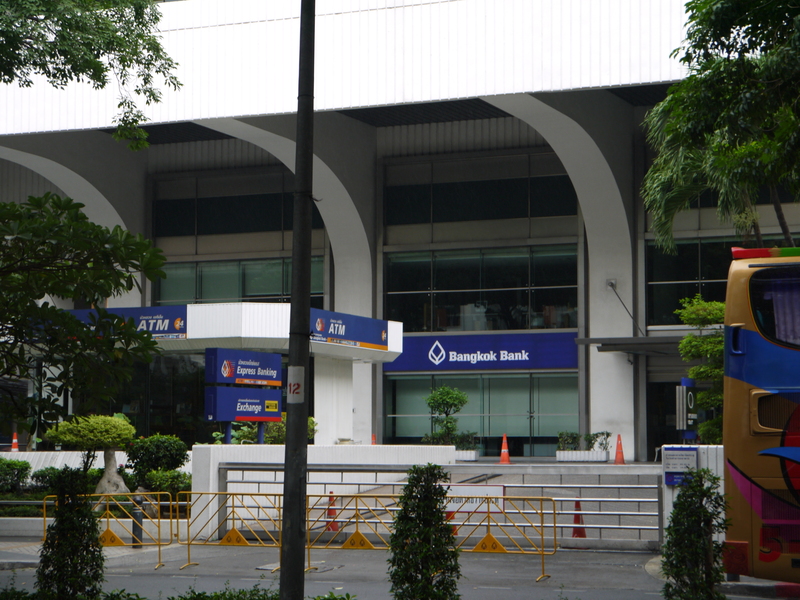 But also if bringing money into the country regularly or in large amounts, Thai banks offer much better exchange rates than many banks in the west – so sending money direct to a local bank by international money transfer can be cheaper than paying credit card commissions on cash advances, and the local 200 baht fee on using a foreign card. Not to mention, carrying a local ATM card for peace of mind is also probably more secure than a stash of “just in case” money or risking losing a credit card. 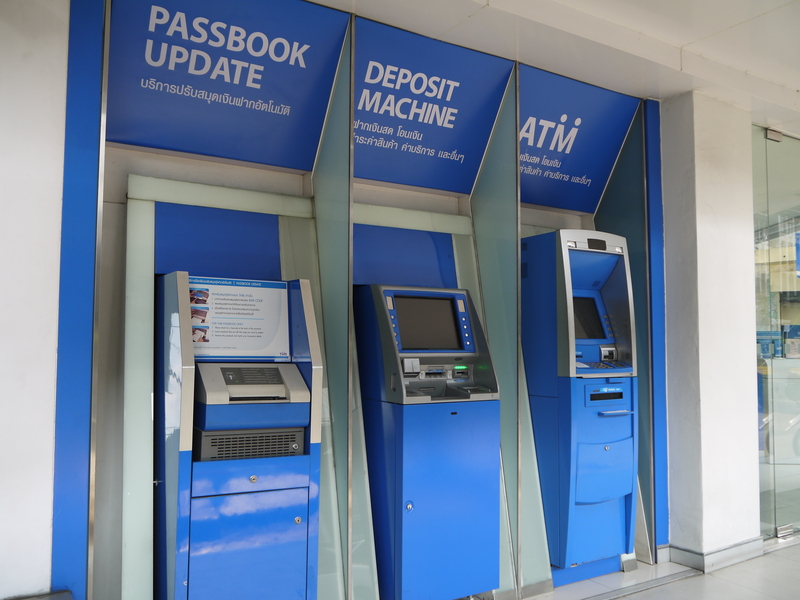 Different people can have very different experiences of opening a bank account in Bangkok. It’s a good example of the general challenges of administrative things in Thailand – they can go smoothly, but it depends entirely on the paperwork you have, where you go, and the person you deal with on the day – and often some persistence is needed. There is nothing that says foreigners can’t legally have an account with a Thai bank without a work permit, although it’s a common “requirement” and definitely makes the process a lot simpler. It doesn’t help that different branches seem to have different policies, and as a foreigner it can be hard to know if maybe you are just a little hard to deal with. Having gone through the process of opening two accounts both without and with a work permit, it’s definitely easier with one but still very possible without one. Some commonsense things can help with the process. Big branches in areas with a lot of foreigners are more likely to have someone that speaks English well enough to help, and going at a quiet time of day probably helps. Small, busy branches in a mall might have a more difficult time dealing with a complicated customer. Initially (before having a work permit) we did some research and found someone who suggested the SCB branch at Thonglor, but had no luck ourselves (things can change!). Eventually we were recommended to the central Bangkok Bank branch on Silom Road (see map), and found a helpful woman seemingly dedicated to foreigner business who happily opened an account after we showed two forms of ID. A friend who was here temporarily and not working had some success at the SCB branch in Asok, again showing how things can vary between branches of the same company. At least in our experience, there isn’t much control over this in Thailand. If having a work permit and needing the account to receive local income, it’s likely the employer will ask that you open the account with the same bank that they use (transfers between accounts at different Thai banks can be surprisingly expensive, maybe around 200 baht.) If not having a work permit, it’s more about opening an account at all which is what drove our initial choice. There are some other differences compared to banking in the west too. Foreigners cannot open a “cheque” account in Thailand, only a “savings” account. However we’ve never seen a cheque in Thailand, and ATM cards work equally well with savings accounts, so we’re not sure that this matters a lot. Also, passbooks are still used, and can be updated in a branch or at any number of ATM-like passbook update machines. And interestingly bank accounts remain linked to the branch and region they were opened at, so making a deposit upcountry into an account that was opened in Bangkok might attract a fee. We’ve heard also that for some things, it’s necessary to go back to your original branch rather than a different branch of the same bank – so if possible, a convenient branch might have its advantages!